Bruxism is a disorder where you repeatedly grind or clench your teeth to the point of dental damage. Some people do it to cope with stress, while others do it while they’re sleeping. Whether it’s a daily habit or an unconscious act, it’s important to know how to spot the signs and properly treat the condition since it can lead to many major problems. Dental correction can put teeth back in proper alignment to reduce teeth grinding. Mouth guards and splints can separate teeth to prevent dental damage. Behavior therapy can help change the behaviors causing the bruxism. 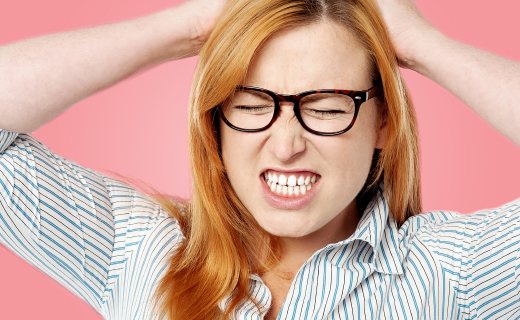 Stress management techniques can help you cope with tension to relieve stress-related bruxism. Medication like muscle relaxants and Botox injections can relax the muscles to reduce the tension that leads to grinding. Awesome experience!!! Enjoyed the employees and atmosphere!!! Professional and courteous service every time. Outstanding service and caring staff. The office staff is very friendly and helpful. Also the dentist does great work and has a good bedside manner. Maci…Maci! She is the best, and the reason I come back. Dentist is so good, kind and realistic and can multitask like a champ! Everyone that works there very polite, friendly and professional.